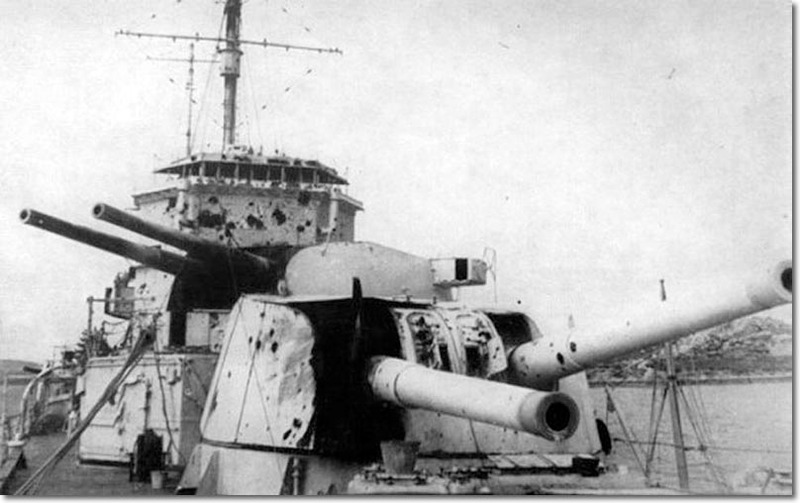 This photograph shows the extent of the damage that the Royal Navy had to endure in order to hunt down, damage and isolate the Graf Spee. HMS Exeter was the lead of three ships in undertaking this mission and was far smaller than the battleship she engaged. The victory at the River Plate was a rare propaganda boost for the British in the early stages of World War Two.